Pre-orders will soon start for the worlds first electric supercar the Li-ion Inizio together with its smaller brother the Wave II winner of the 2010 Automotive X-Prize. The Li-ion Inizio electric supercar is equipped with 12 batteries and two motors and is capable of going from 0-60 in 3.4 seconds with a top speed of 170 mph with a range of 250 miles. Li-ion Motors won first prize in the Automative X competition last year with its Wave II vehicle and is using the $2.5 million cash prize it won to now make its products commercially available. Both cars will start to be available for pre-order this month and the Inizio should begin shipping in July 2011 followed by the Wave II in December 2011. 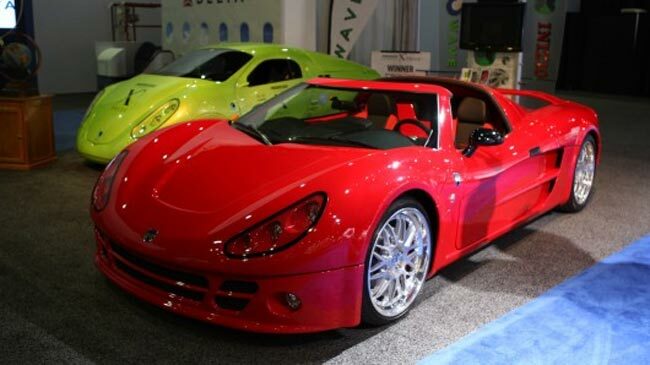 Inizio has three models of its supercar for sale priced at $139,000, $189,000 and $249,000. For full specifications on all the models jump over to the Gizmag website.